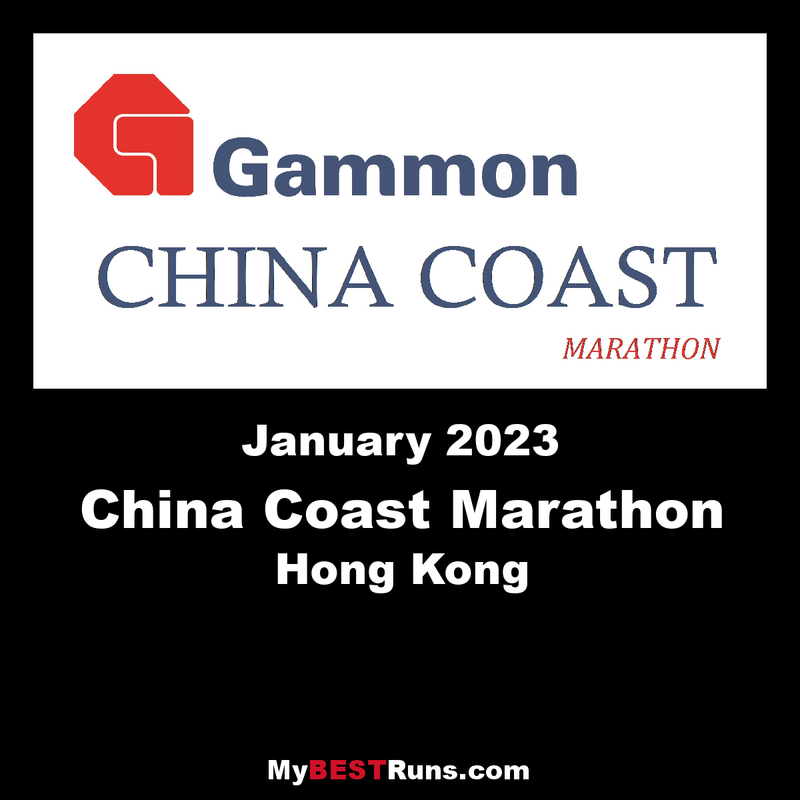 Gammon Construction continue their sponsorship of the China Coast Marathon and Half Marathon this year. Gammon have a running team that has regularly participated in the Corporate Challenge and the company are doing a great deal to support athletics in the community in Hong Kong. 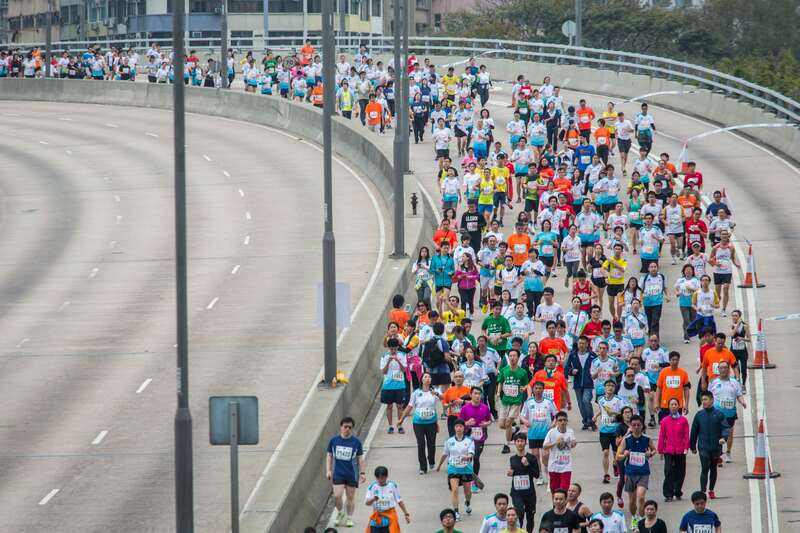 This race is AVOHK ‘s flagship event and was the first AIMS certified marathon in Hong Kong. It was first held in 1981 and won by Ron Hill in a time of 2:34:35. Ron described it as the toughest marathon he had run and although the course has changed over the years, it is still a tough challenge. 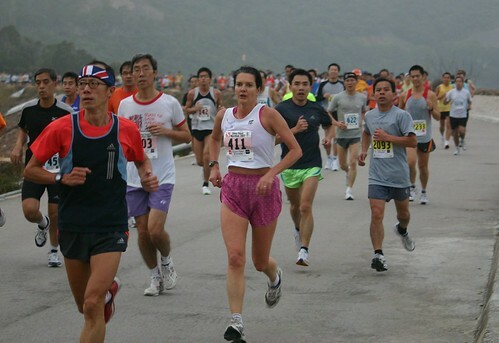 It is not a race at which personal bests are set, but it offers very good racing against some of Hong Kong’s hardiest runners and through some of Hong Kong’s most stunning scenery. Being held in January gives the best chance of good running weather. The current course record is 2:38:44 set by Kevin Ball in1989 which reflects the difficulty of the terrain. The half marathon is equally challenging and enduring. The races are a good alternative to the crowded, polluted and impersonal HKAAA’s Standard Chartered Marathon, Half Marathon and 10K. The events are organised by runners for runners and AVOHK endeavour to ensure that all the participants feel welcome and looked after. The races take place on the service roads at High Island Reservoir. Sai Kung Man Yee Road and Sai Kung Sai Wan Road, there are markers every 5km. The courses are AIMS certified. Races start and finish at Pak Tam Chung.